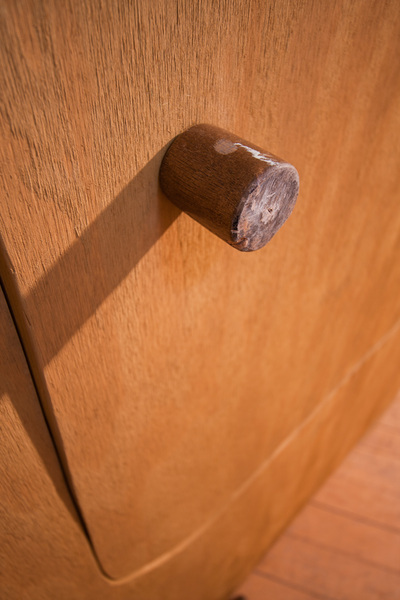 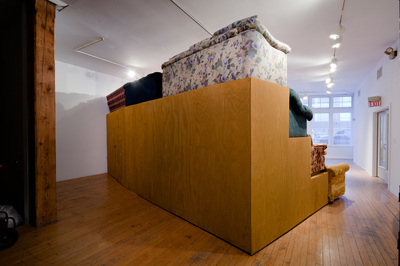 Nate Page is interested in sculpture that goes beyond a purely visual experience. He wants sculpture that can be experienced architecturally as well—where an individual can touch it, move through it, climb on it, etc. 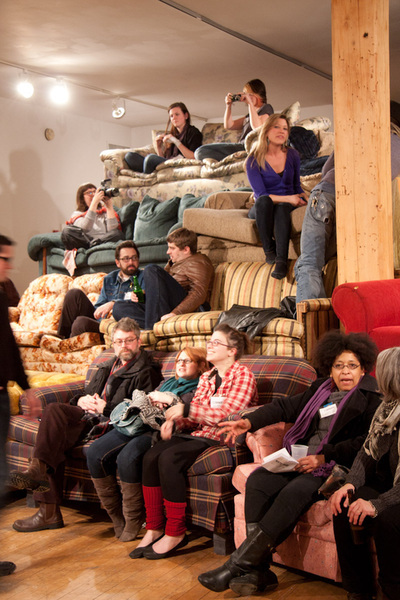 As part of his interest in cross- pollinating accessible and inaccessible spaces, Nate has been working with the idea of seating. 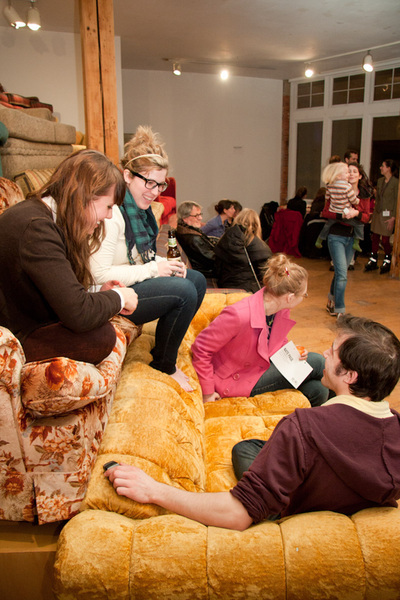 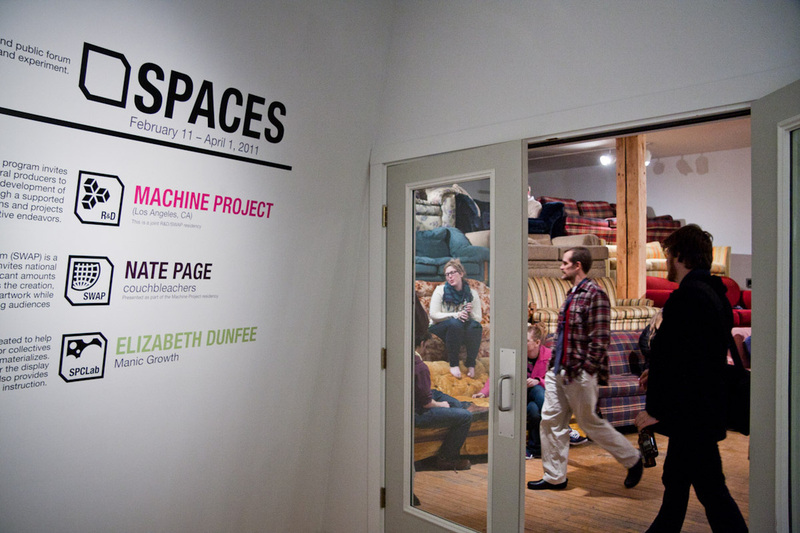 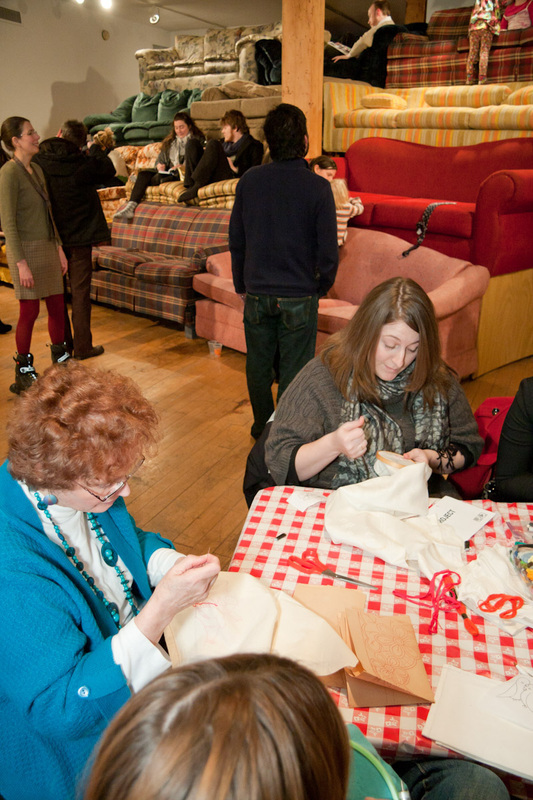 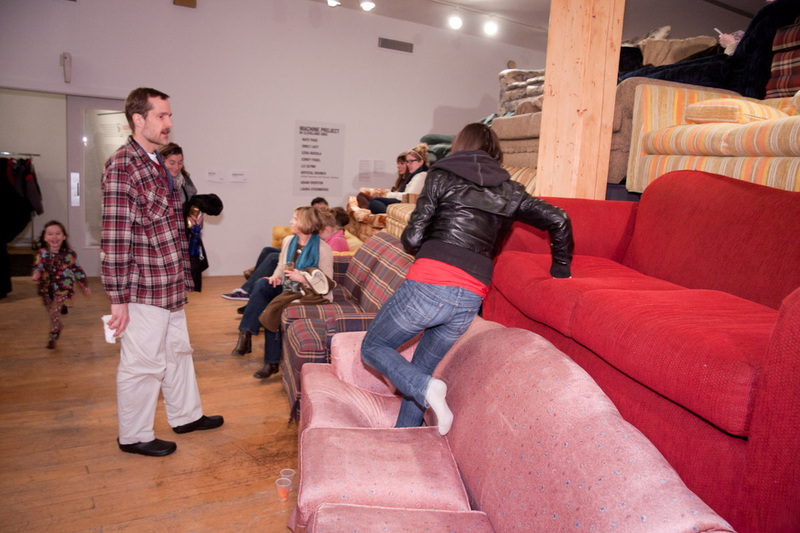 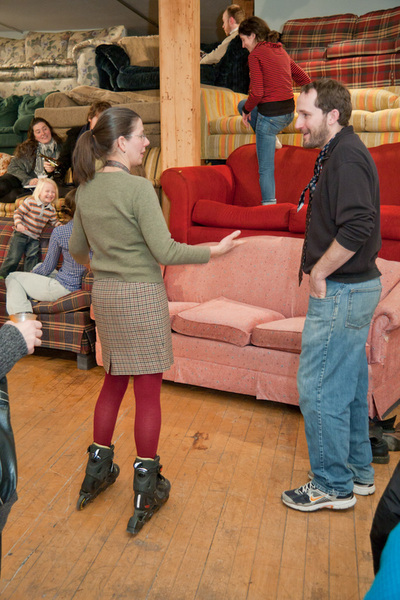 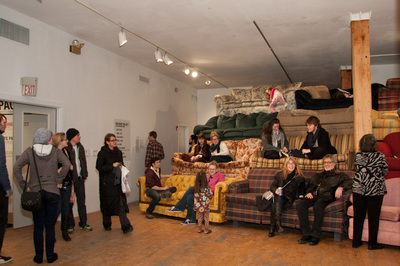 Seating invites interaction, but its presence in a gallery space as an art object creates hesitation as to whether audiences can interact with it. 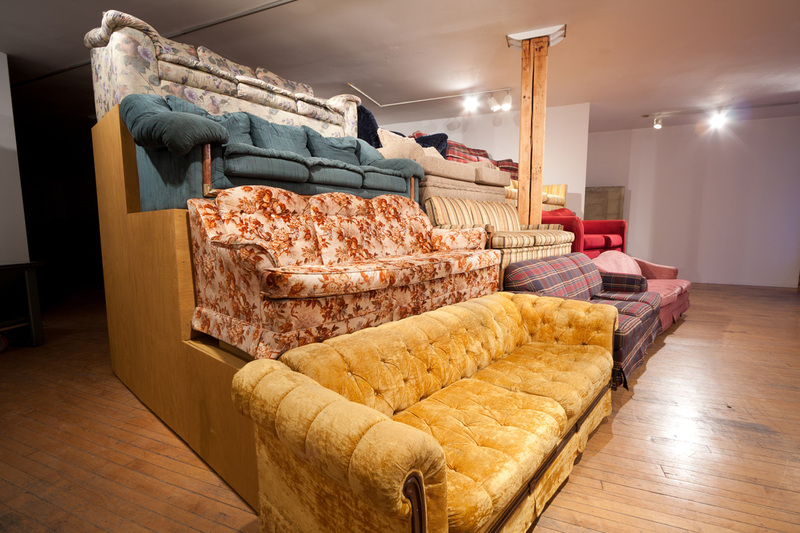 Chairs and couches in museum displays are not for sitting, but for viewing. 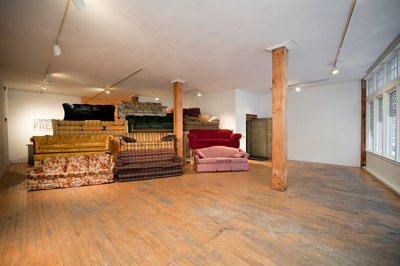 Also the benches in painting galleries are not meant to be viewed as art. 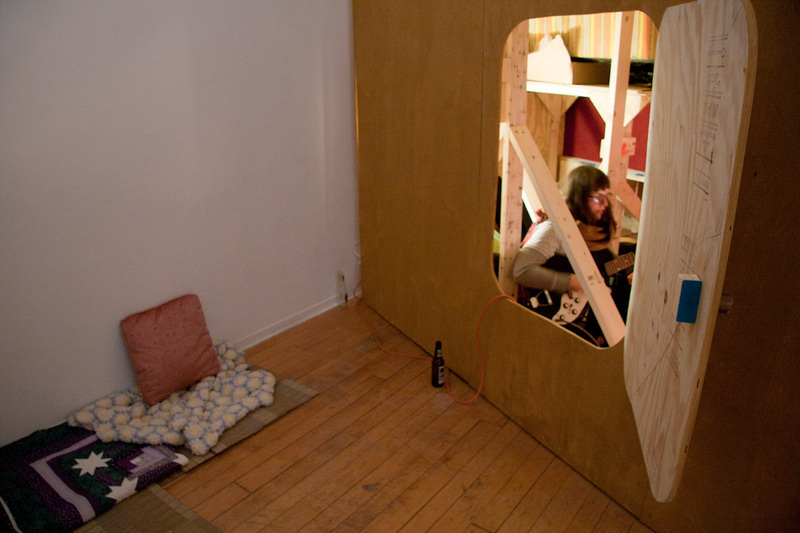 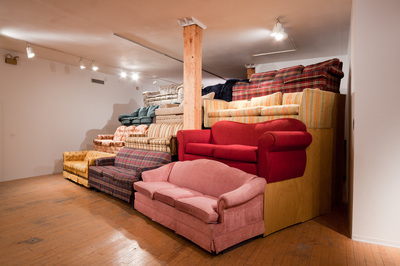 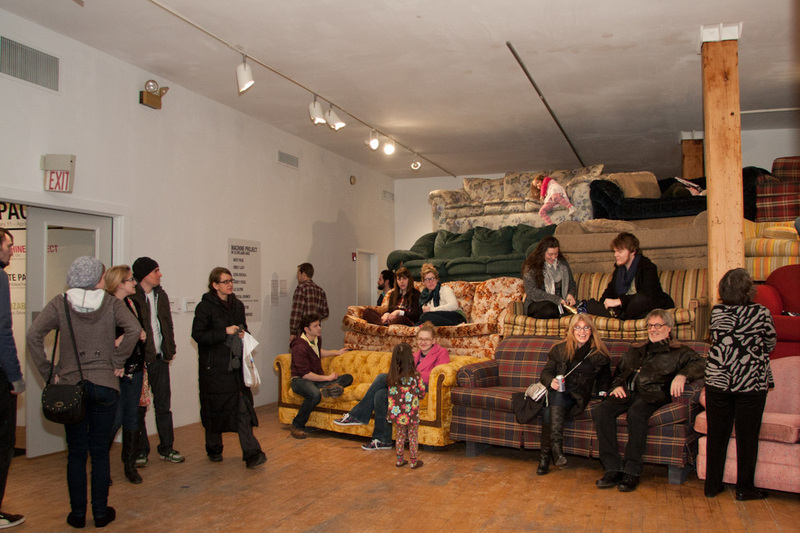 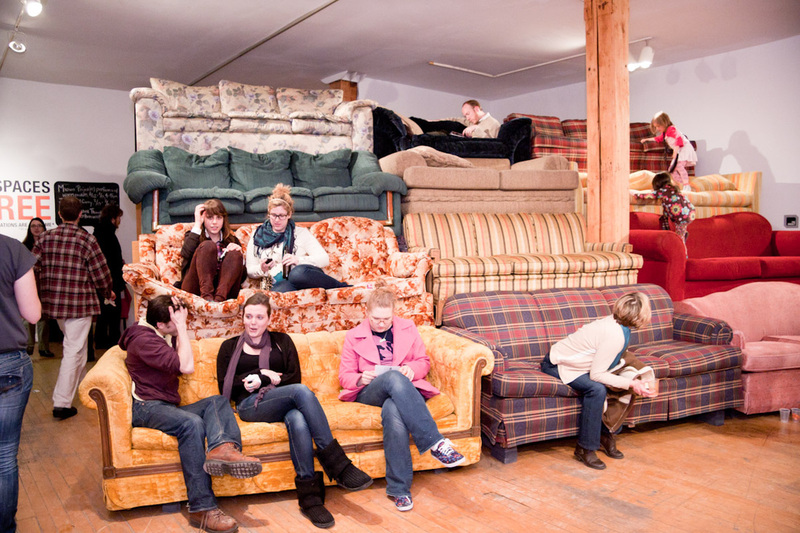 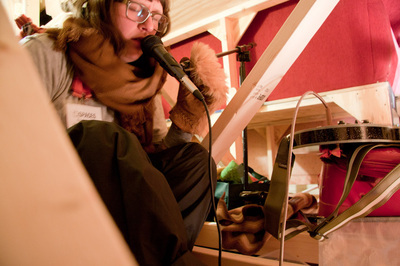 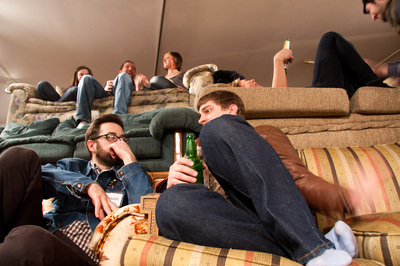 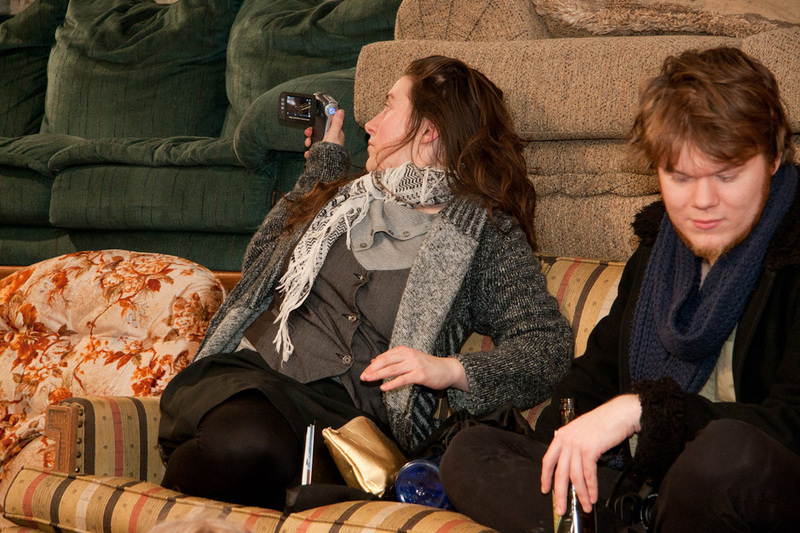 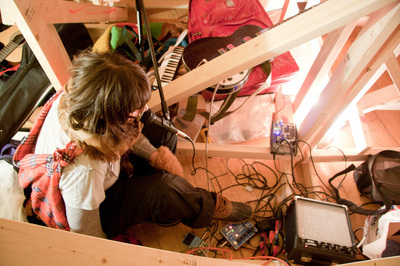 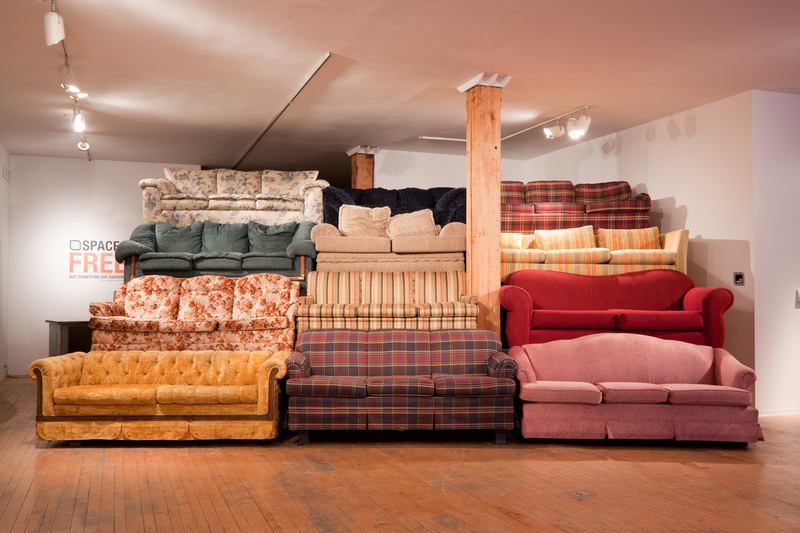 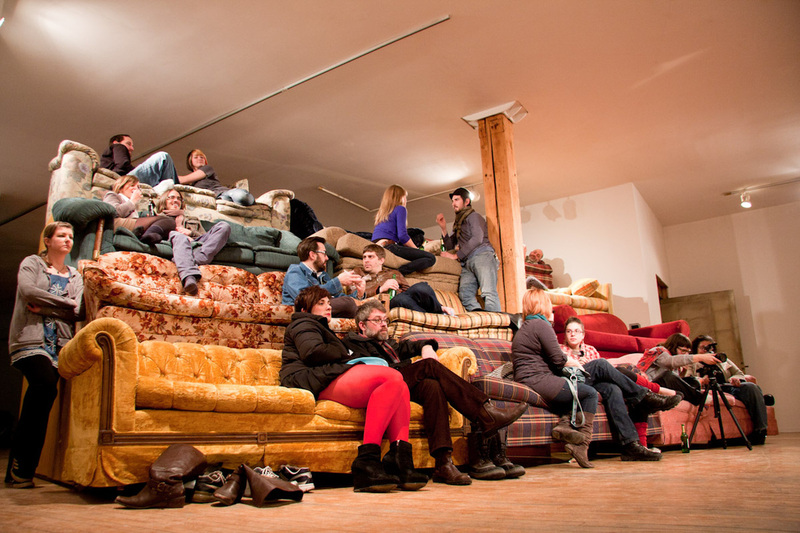 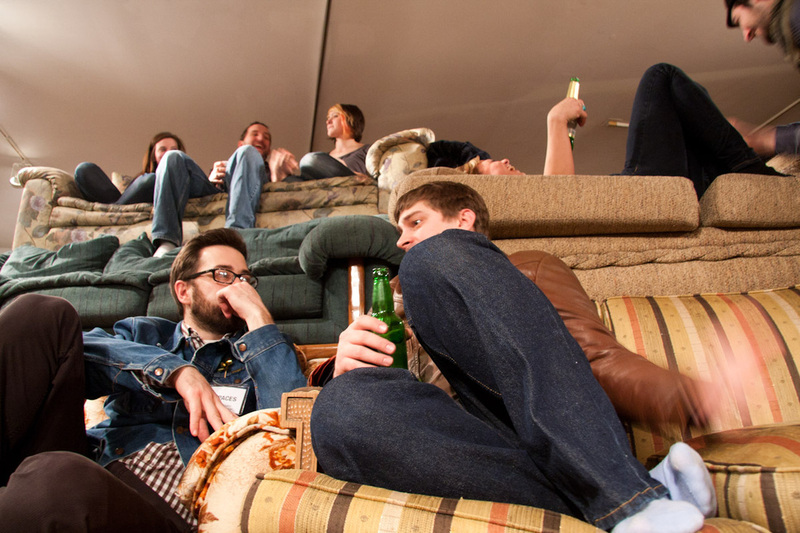 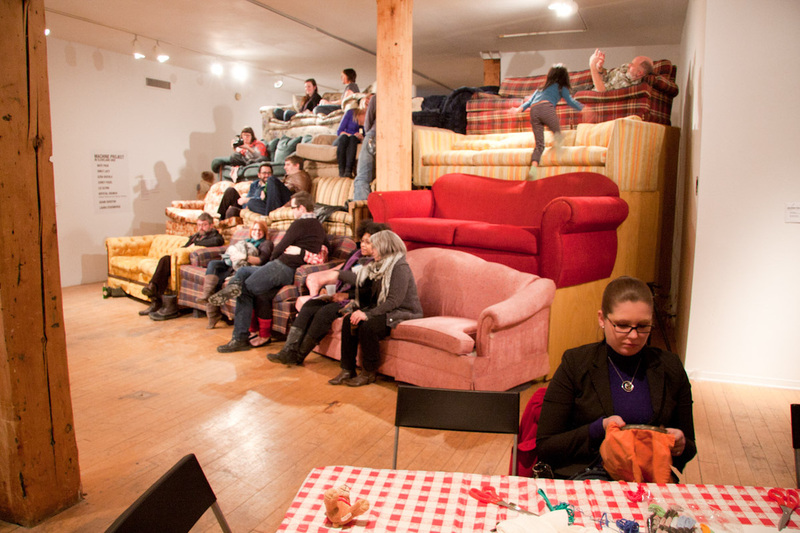 Nate Page’s couchbleachers are both art object and interactive, touchable environment. 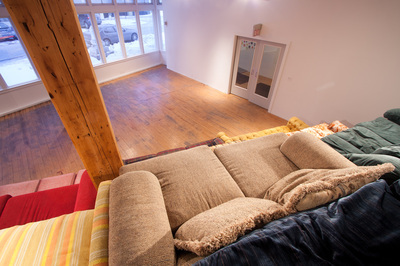 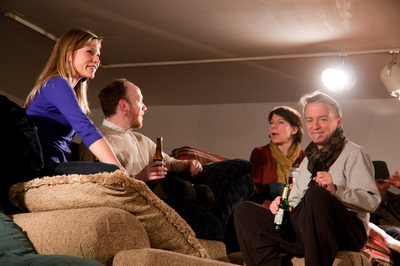 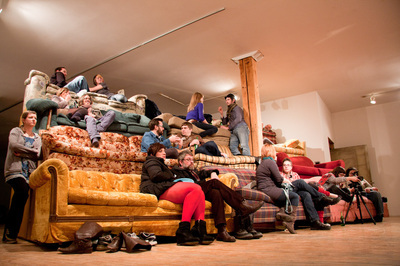 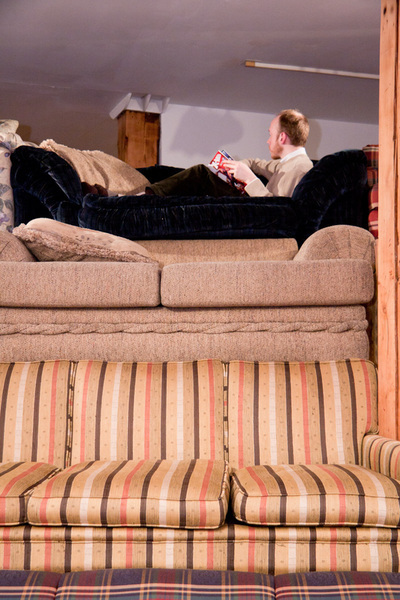 couchbleachers are therefore accessible to audiences as both functional and art object, but they also provide unique access by addressing the negative space. The couchbleachers have an interior that can be entered through a small door at the rear of the base. 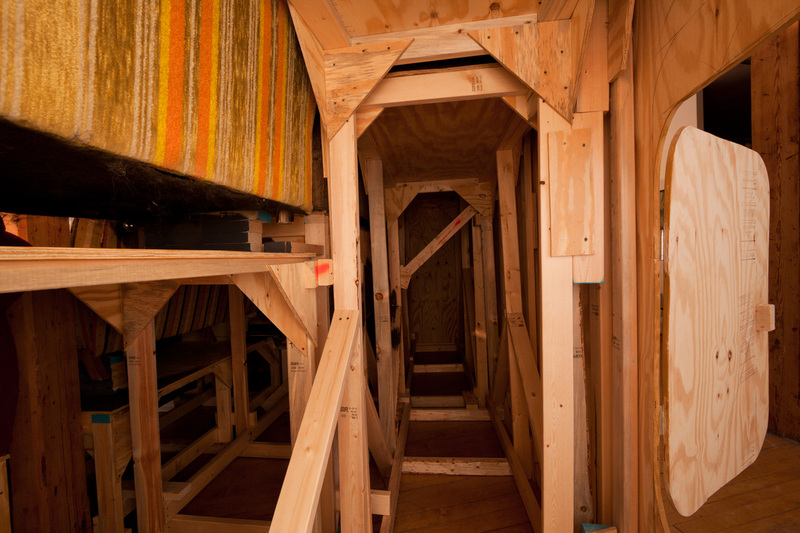 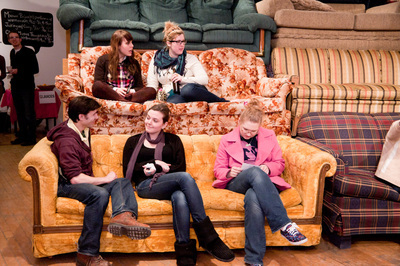 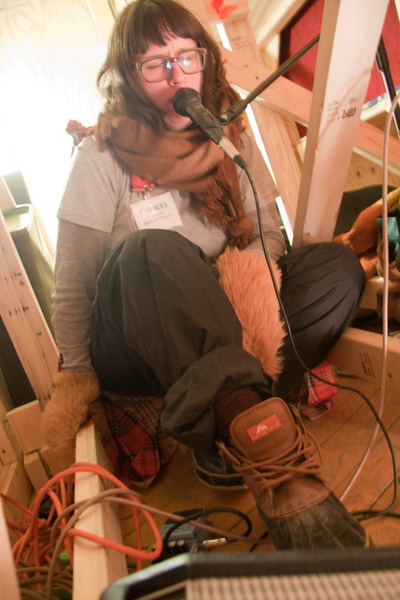 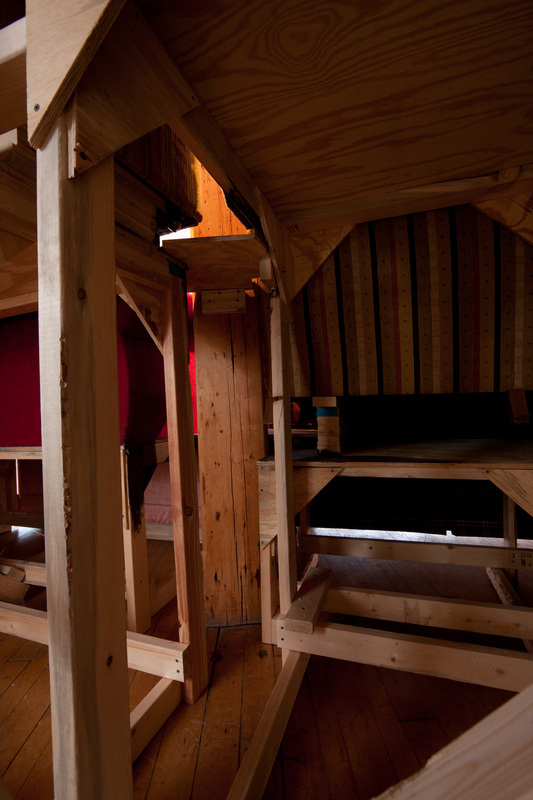 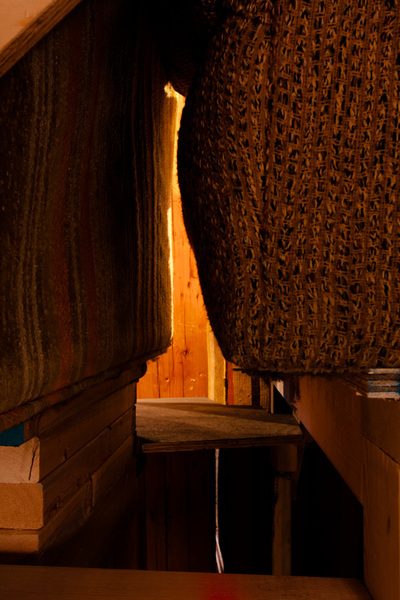 couchbleachers was designed as a wink at the cultural institution that is “under the bleachers” where wayward high school students could engage in nefarious activities. 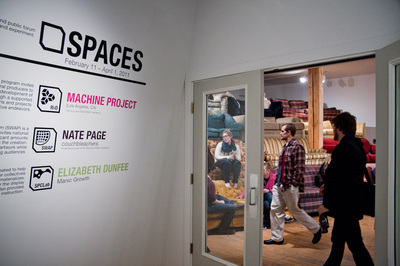 That area under the structure is also a unique venue that future Machine Project performers may utilize.